Although I wrote everything I know about squirrel issues for this website, oftentimes a problem with squirrels in the attic is beyond the scope of the do-it-yourself homeowner to solve. I have found a professional company in Nassau County, New York that handles problems with wildlife. Select Exterminating has access to tools, techniques, and experience that help them do a far better job at wildlife removal than a non-experienced homeowner could. They possess licensing that allows them to do certain types of work legally, that non-licensed homeowners in the state of New York are not allowed to do. For the welfare of your situation, and the squirrels, in some cases it's best to hire a pro. There are good companies and bad companies out there. I've done research on such companies, to get to know them, and feel confident recommending their services. I therefore recommend a company called Select Exterminating which services Nassau County, New York. If you have a squirrel problem, or any other conflict with a wild animal, and live in Nassau County, I am confident that this company, Select Exterminating, is the one to call. I asked the company to describe their service range, and they said this - Our service range includes all of Nassau County, including Long Beach, Inwood, Woodmere, Bay Park, Oceanside, Lynbrook, Rockville Centre, Baldwin, Freeport, Merrick, Bellmore, Massapequa, Levittown, Hempstead, Franklin Square, Garden City, Westbury, Hicksville, Jericho, Roslyn Heights, Muttontown, Oyster Bay, Port Washington, and more. Select Exterminating operates 24/7, so don't hesitate to call at any time to discuss your wildlife problem, and schedule an appointment for same-day or next-day service. Came across your site when i searched how to remove squirrels out of my wall on google. It's amazing how much information you have and I saw you gave a company that is located right here in Long Island where i currently live. I was wondering, how much does it usually cost for someone to come remove squirrels from your wall, and if i am renting a house would it be something the landlord might have to pay for or would that be my responsibility? I could not locate their point of entry due to a lot of shrubs around my house, but i did find a spot where i feel like the squirrels have been climbing up inside the house. I am trying to take care of this problem before they nest here for good for the winter here in Long Island! I've heard them for about a week now and some of the noises they make are unreal, at first i thought it was a raccoon but no, its a squirrel i see him jump from house to house and dip down chimneys. Anyways sorry for rambling on let me know about the price, thanks a lot! If you have a squirrel problem in Nassau County New York, or any other conflict with a wild animal, I am confident that we can solve it. 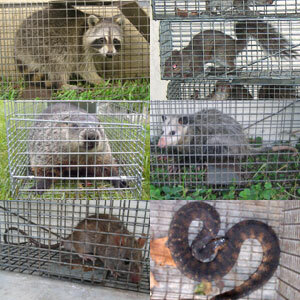 We use humane methods when dealing with Nassau County wildlife removal situations. Squirrel Control Nassau County. Our company is fully licensed and insured in New York. Call us any time at 516-874-5040 for a price quote and to schedule a same-day or next-day appointment to solve your squirrel problem in Nassau County.